Bringing different members of the community together has always been part of Big Brothers Big Sisters’ mission to help children succeed in life, because children are connected to communities. Now, Big Brothers Big Sisters of Central Texas has started a new program aimed at building relationships between youth and law enforcement officers. Created by Big Brothers Big Sisters of America, Bigs in Blue is a national initiative aimed at recruiting law enforcement officers to serve as mentors to youth in their communities. BBBS believes these mentoring relationships will create stronger, healthier bonds between law enforcement personnel and the children, families, and communities they serve. The program already exists in about 20 cities across the country. 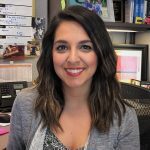 Big Brothers Big Sisters of Central Texas is currently launching a Bigs in Blue program in Central Texas. 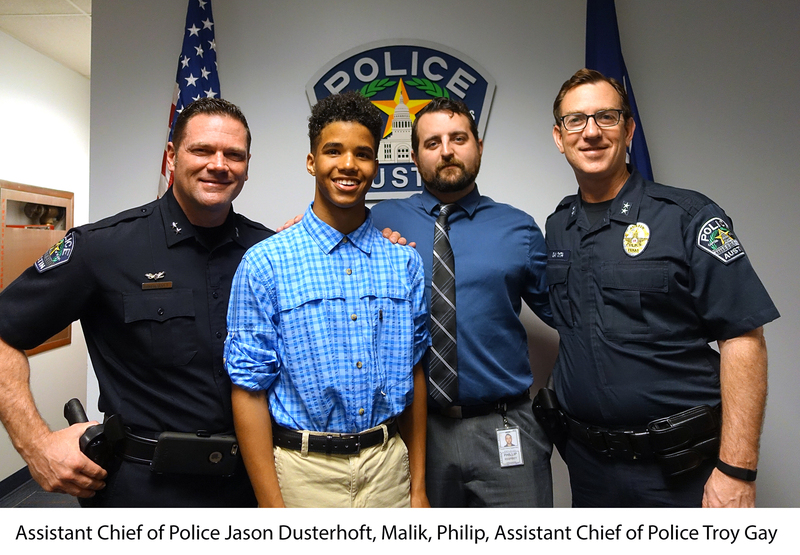 One of the keys to a successful program is the enthusiastic support of the local chief of police, and, to that end, BBBS has developed a relationship, and completed a Memorandum of Understanding, with Austin Police Chief Brian Manley and the Austin Police Department. “At a time when law enforcement is under intense media and public scrutiny, it is more important than ever for young people to understand that police officers are not a force to be feared. Police officers want to protect and serve their communities,” said Philip Kearney, Administrative Specialist in Chief Manley’s office, and a BBBS Big Brother. Philip was a Big Brother long before Bigs in Blue was initiated. He was matched with his Little Brother about 6 years ago when he was in his 20’s and Malik was 9, and laughingly says that they’ve both grown up together. Philip believes that Malik has been a grounding influence in his life. “Since I don’t have kids, sometimes I can think that my negative behaviors and attitudes only affect me, so ‘who cares?’ But now that I’m conscious of being a role model, I am more conscientious in all aspects of my life and have become a better person for it,” Philip admitted. It’s this kind of transformation that speaks to the potential and promise of the Bigs in Blue program… the ability to create change that can help law enforcement and civilians clear up misconceptions about, and fear toward, one another. And the benefits of each mentoring relationship extend far beyond the Big and Little themselves, affecting the lives of those around them and the greater community as a whole. As members of a community, we are all connected, and the quality of our connections matters. Bigs in Blue is designed to foster relationships and understanding between two groups who have much to learn, and gain, from one another.